These birds were spotted today just south of San Francisco in Pescadero State Beach. The best I can do is Black-bellied Plover, but I don't really believe it. Thanks for your help. 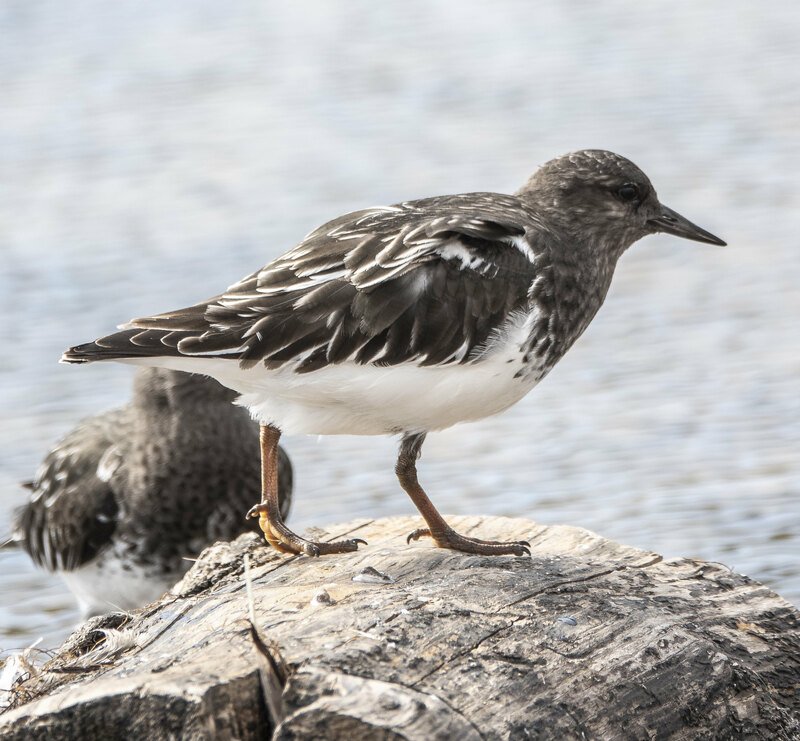 I'd lean towards Black Turnstone. Nice photo! Unfortunately, we can no longer edit old posts, so now that edited the name of this Flickr photo, I expect it will disappear from the original post above. I am therefore reposting the photo (with corrected name) here.